Today U.S. Senator Rob Portman (R-OH), co-chair of the Senate Career & Technical Education (CTE) Caucus, announced his Educating Tomorrow’s Workforce Act, legislation he crafted with Senator Tim Kaine (D-VA) to allow states and localities to use Perkins grant funding to establish CTE-focused academies, has been signed into law by President Trump. The bill encourages schools to incorporate key elements of high-quality CTE programs and promotes partnerships between local businesses, regional industries, and other community stakeholders to create work-based learning opportunities for students. More than 900 career-technical and STEM educators, school counselors, school board members, presenters and exhibitors attended the 2018 Connections to Education Conference at the Hilton Easton - Columbus! Click here for pictures and highlights from this year's conference, the certificate of attendance and a link to presentations. Every school year, teachers dig into their own pockets to buy educational supplies to enhance the teaching they do in their classrooms. By one estimate, teachers spend an average of $600 a year of their own money to buy things that school districts and parents don’t or can’t provide for students. This ranges from basics such as notebooks and pencils to specialized furniture designed to help special-needs students focus on learning. It is a credit to Ohio’s teachers that they are willing to make a significant financial sacrifice for their students. But these sacrifices can do only so much. Consequently, teachers have turned to crowdfunding websites to seek donations of money and educational materials, and local school officials have asked Auditor Yost’s office for guidance to keep teachers and administrators from inadvertently making a misstep. About a fifth – 123 – of Ohio’s school districts responded to the Auditor’s crowdfunding survey. Of these, fewer than half – 50 school districts – have a crowdfunding policy in place, while the majority did not. If this proportion applies to the rest of Ohio’s 600-plus school districts, it would mean that hundreds of districts lack these policies. Dozens of online crowdfunding sites exist, a number of them specifically designed to help teachers. One well-known site called DonorsChoose says that it has helped with 600,000 classroom projects that have raised $621 million from almost 3 million individual and corporate donors. Other familiar crowdfunding sites include AdoptAClassroom, ClassWish, EdBacker, GoFundMe, Indiegogo, Kickstarter, PledgeCents, and YouCaring. The risks of crowdfunding include compromising student confidentiality, diversion of donations for private use, inviting federal or state scrutiny of educational programs and bad publicity for the school district if a crowdfunding campaign is mishandled. The report outlines these dangers, suggests ways to mitigate them and urges school districts to work with legal counsel to craft policies to ensure that districts, teachers, students and donors all are well-served. Wilson was one of the financial officers in Ohio who asked Auditor Yost for guidance. “As a member of the Auditor of State Regional Advisory Council, I appreciate Mr. Yost's willingness to consider and follow up on input from local governments,” Wilson said. Require that all crowdfunding campaigns be reviewed and approved by a designated school administrator. Direct the designated administrator to ensure that the proposed crowdfunding campaign does not violate any federal or state law, including those governing the confidentiality of student information. Ensure that the campaign seeks donations that comport with the district’s education philosophy, needs and technical infrastructure. Designate which crowdfunding services can be used by teachers. These should be services that send donations directly to the school to ensure that they are not diverted or misused. Require that district officials determine if participation with a given crowdfunding site obligates the school district to assume any responsibility to file government-required reports of charitable activities. Require that donations be used for the stated purpose. Mandate that no donations be accepted without school board approval. Establish that all crowdfunding donations are the property of the school district, to be entered promptly into the district property inventory or deposited in district bank accounts so that they are subject to normal financial oversight and auditing. A full copy of this report is available online. 2018 Conference Program Cover Contest Winner Chosen! Congratulations to Ean Boecker of Vantage Career Center, this year's Conference Program Design Contest winner! With the guidance of his Interactive Media Instructor, Jill DeWert, Ean's cover was selected out of more than 50 other entries. He will be returning as a senior to Interactive Media next year. His design will be featured on the cover of the printed program distributed to all attendees at the 2018 Connections to Education Conference, July 23-35, Hilton Easton. Congratulations to Ean and all of the staff at Vantage Career Center! For more information on the 2018 Connections to Education Conference July 23-25 at the Hilton Easton, Columbus, please click here. Emily Forsthoefel (pictured here with Brenda Speck, Instructor) graduated from the Tri Star Career Compact MedPrep program. 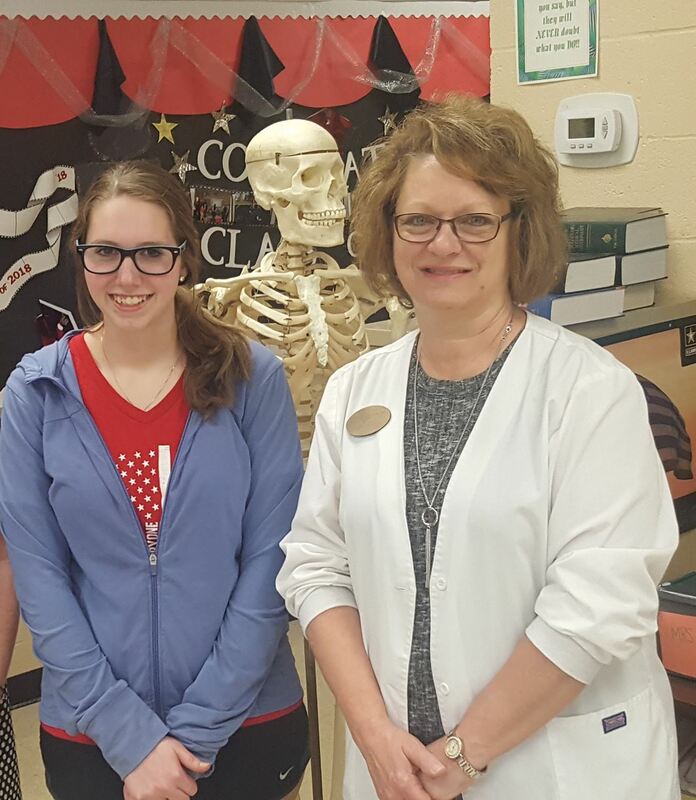 As part of the program, she learned about anatomy and physiology, as well as patient care and leadership. 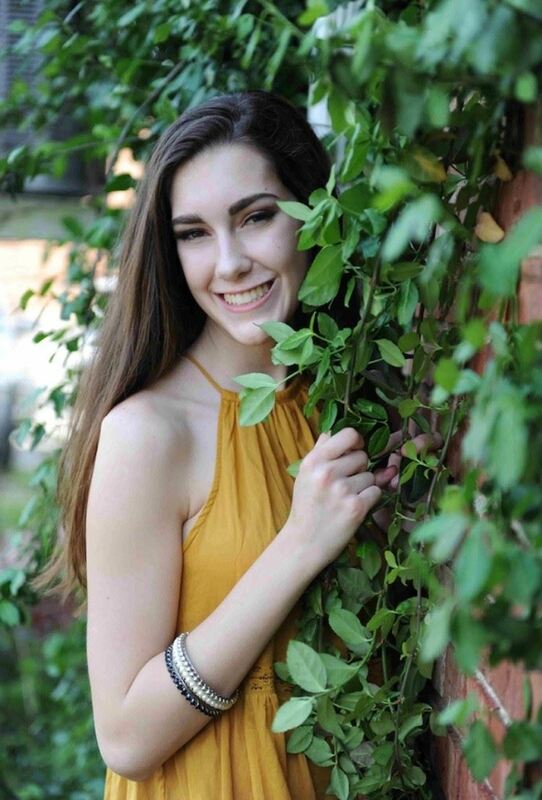 Emily held many positions while in the MedPrep program, including Vice President of SkillsUSA, head nurse for her team, and a supervisor in her class. In addition, she traveled with her classmates to Haiti and helped at a hospital. Emily plans on attending college and majoring in medical imaging and radiology. She hopes to work in the field as an X-Ray Technician and eventually continue her education in ultrasound. An Aligning Opportunities report done by Team Northeast Ohio found that there is a misalignment in Northeast Ohio regarding skills, education, and training needed to fill high-demand occupations. According to Jacob Duritsy, vice president, Strategy and Research for Team NEO, the objective of the findings is to provide secondary and post-secondary educational institutions in Northeast Ohio a tool to help them evaluate (and re-evaluate) their professional and technical education programs. The report also found that manufacturing, IT, and healthcare are the most in-demand sectors, and within the 19 occupation categories studied, only three are aligned with supply and demand. Scott Stump of Colorado, to be Assistant Secretary for Career, Technical, and Adult Education at the US Department of Education. Stump is the Chief Operating Officer for Vivayic, Inc., a learning solutions company based in Lincoln, Nebraska. Previously, he served as the Assistant Provost for Career and Technical Education with the Colorado Community College System. In 2014, he served as President of the National Association of State Directors of Career Technical Education consortium, now called Advance CTE. Stump holds a B.S. in Agricultural Education from Purdue University. The Creating Quality Technical Educators Act was introduced April 24 by Sens. Rob Portman, R-Ohio, Tammy Baldwin, D-Wisc. and Tim Kaine, D-Va., Sen. Portman is a co-chair of the Senate Career and Technical Education Caucus. 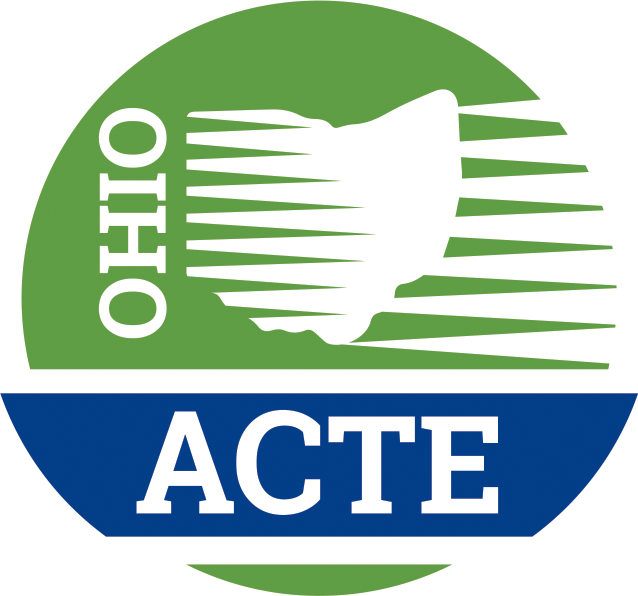 "Quality CTE teachers play a key role in expanding access to high quality programs and making sure more students and parents recognize the value of a CTE education—all of which helps lead to more and better job opportunities for students," Portman said. The bill would create "partnership grants for the preparation of career and technical education teachers" that are open to both mid-career professionals and those seeking initial licensure to teach CTE. They're also open to current educators without subject-matter expertise in CTE. Program participants would need to commit to working with a mentor teacher for two years, and get continuing professional development for three years. Those who are trained through the grants would have to serve as full-time CTE educators in a "high need" district for at least three years. The legislation would act as an amendment to the Higher Education Act.